Around 80 Filipino SPED teachers arrived in Nevada recently. Most of the are came from Visayas and Mindanao. Those are teachers hired by Clark County School District to fill the vacancies of SPED teacher in public schools. In Abs-Cbn report, the Philippines is one of the top countries where the US hired their foreign skilled teachers. Filipino teachers can work in the U.S. through the J-1 non-immigrant cultural and educational exchange visa program. Initially, they can stay for a three years contact and then apply for a two-year extension. 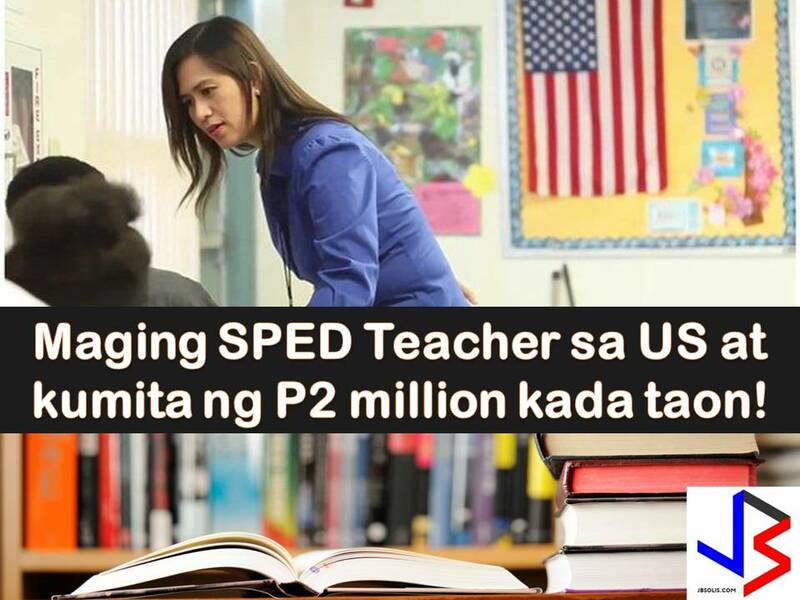 Filipino teachers will earn around $40,000 or P2 million in a year in the US compared with P250,00 - 350,000 income per year in the Philippines. The recruitment process can take up to two months where teachers will undergo American Accent Training, Verbal Escalation, and Classroom Management. Aside from Nevada, Sacramento in California will be hiring foreign teachers and Filipinos will be their priority. Last year, 12 Filipino teachers arrived in Sacramento to teach special education in elementary, middle and high school. In Sacramento, teachers undergo an annual evaluation. The school district is required to treat the teachers just like local hires and offer commensurate pay and equal benefits based on the contract with the teachers’ union. How Annulment Works in the Philippines? OFW Moms, When Will You Really Go Home?